I just mentioned this for the first time yesterday on Instagram because apparently I really like to keep these things a secret for as long as possible...but...we are having another baby! I'm due May 2nd so I'm more than halfway there already. This pregnancy is similar to but also very different from my pregnancy with Milo. One thing that is the same is that I'm crocheting this baby a blanket while it's growing in my belly just like I did for Milo. This is the pattern I used. I am so in love with this blanket already that I want to make a full sized one because it feels so cozy. I am really not looking forward to weaving in all those ends though. Maybe that will stop me from starting another one just like it too soon. Of all the things that I have knit and crocheted, blankets are my favourite. They are the most relaxing to work on because once you know the pattern you don't have to think too hard about what you are doing. I have a goal to eventually make a blanket for all of my friends for one reason or another. So far I have successfully managed one blanket for friends who got married and one baby blanket. Not really focussing too hard on that goal I guess. Really it's just a nice thought that I have in my mind and act on occasionally. It feels great to work on a project and to share some progress (and exciting news) as well! Today we are off to one last family Christmas get together and I'm really looking forward to it. We don't see my Dad's side of the family too often so it's always nice when we do. Thank you Anna! We are really excited for another baby! Such a cute blanket!!! I love the colors. One of these days I'll learn how to knit and/or crochet, it's something I've always wanted to do but never learned. Thanks Holly! Knitting and crocheting are so great. I find crochet physically easier to do and it is easier to rip out stitches if you need to. In the beginning though I found crochet instructions really confusing compared to knitting instructions. As long as you take your time though both are not too bad to learn and a lot of fun! 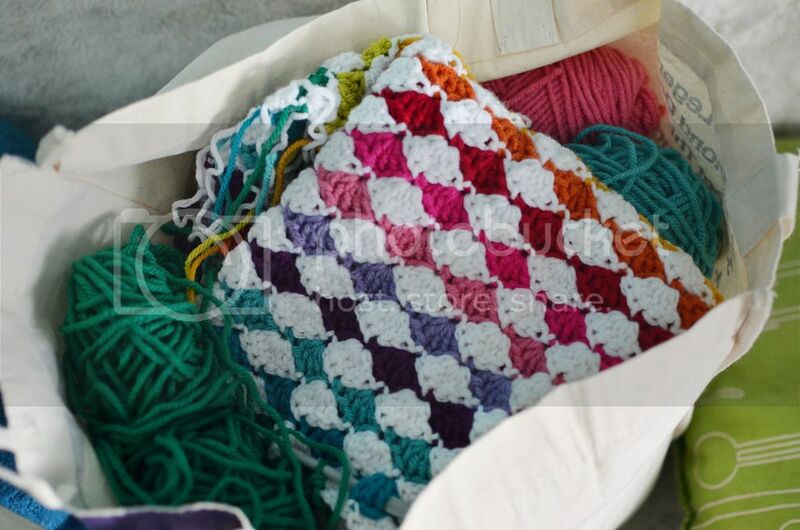 Crochet has just clicked for me and I'm going to give a blanket a go super soon! I love this pattern. Congratulations so much on the new babe!! Hooray! This blanket is definitely worth a try. Is small but you could just make it bigger if you want a full sized blanket. Yay for babies and the joy they bring. Congratulations. 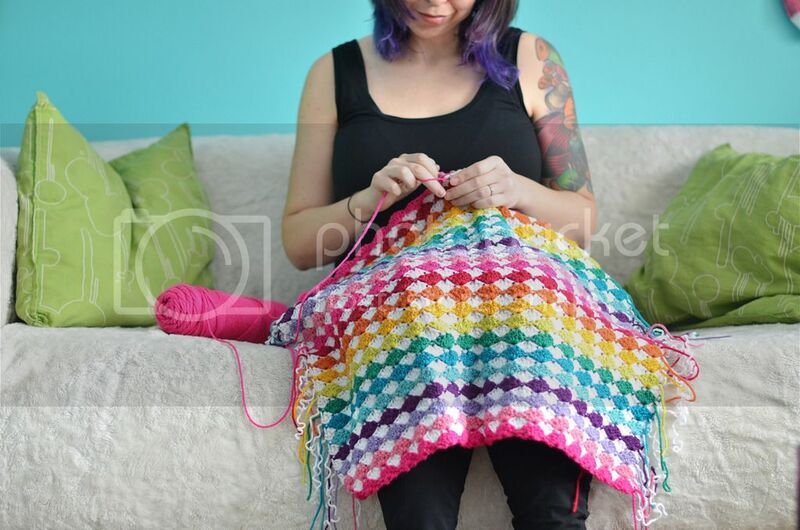 The colours in the baby blanket are stunning and so cheery. I wish I could crochet or knit......a few people have tried to show me and failed. But it is on my list of things to try again this year and I have already approached my next victim I've lined up as a teacher. Thank you Trudie! I use these colours so much. There are a few that I can't remember the brand and 1 that was thrifted so I'm screwed when I run out! The baby blanket looks like it is coming along nicely and the colours are awesome. 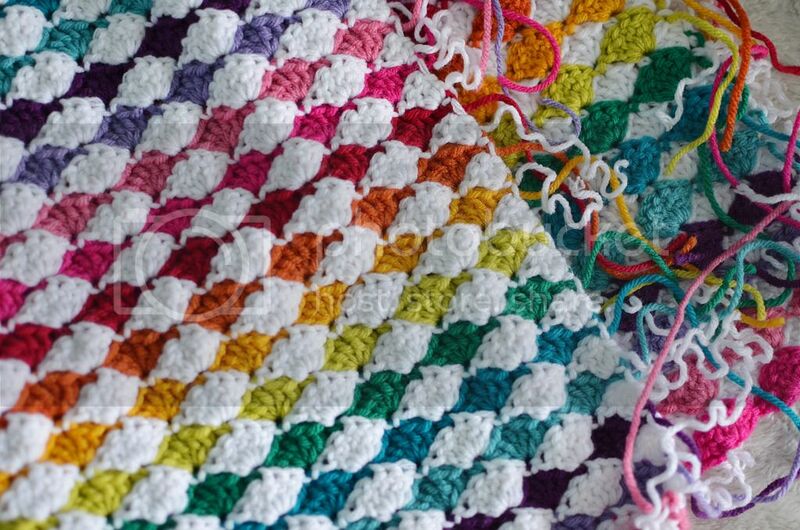 I wish I had the patience to crochet a blanket..! I don't really have good patience for big projects so I tend to work on them a bit obsessively in the beginning. I need to see a really good chunk of progress quickly! Congratulations! that is so exciting! and i LOVE that blanket. Thank you Kelli! I haven't tried socks but I made Christmas stockings so I guess that's kind of similar. Sitting under blankets while you crochet them is a major bonus in the chilly weather. Weaving in ends once in a while is a really good idea that I should definitely try but probably won't because I'm silly about stuff like that. I'm so happy to see an update from you. And OMG, congratulations! My brother was born on May 2nd so it's a really good date. Not to mention most of my and husbands family are May born. I always wondered why you stopped blogging after Milo arrived but since I've became mum myself (and tried to blog about life and baby) I understood how hard it is! Have a great 2016 Elycia! Thank you Betty! May is a fantastic month (my birthday month too!) but I'm not discounting an April baby since Milo was 20 days early. Oh wow that's such a gorgeous blanket! And congratulations on the new baby!!! That is SO exciting! Thank you so much! Baby stuff is weird for me to talk too much about for some reason. I would like to mention a few things here and there though! OMG! Congratulations! Beautiful blanket. I really love the colors. It's so pretty! 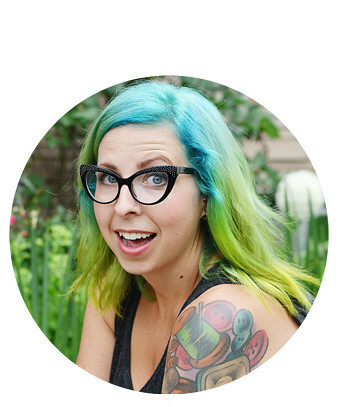 Congrats on your news!